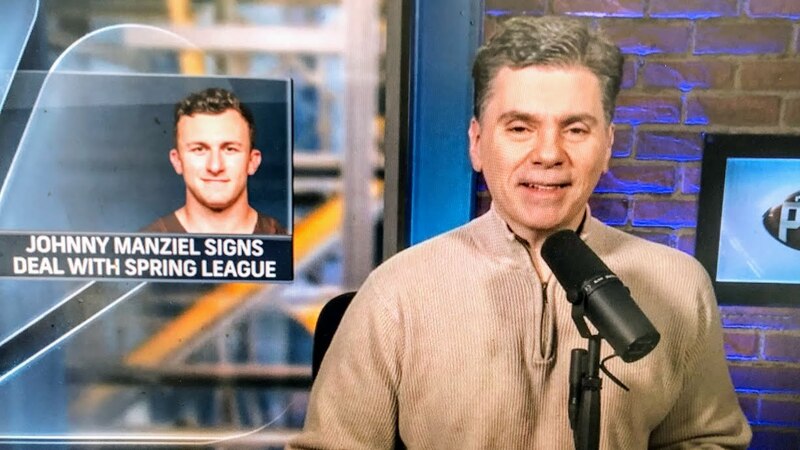 The second season Spring League will be Johnny Manziel’s #ComebackSZN, officially. Training camp opens next week; unless an NFL team comes calling soon, Manziel will report next Wednesday for two days of practice involving quarterbacks and receivers only. Next Friday, full-squad practices will happen. The games, to be played on April 7 and 12 in Austin, Texas, are scheduled to be streamed by Turner Sports. Manziel is the only quarterback on the four rosters with significant name recognition. The North quarterbacks are Mitchell Leidner and Quinn Epperly; the East quarterbacks are Jerod Evans and David Olson, the West quarterbacks are Bryan Scott, Austin Apodaca, and Tyler Stewart, and the South quarterbacks are Manziel and Cody Keith. PFT has obtained the full rosters of all teams. Names that jump out include running back Ben Tate, running back Lorenzo Taliaferro, receiver Stephen Hill, receiver Greg Childs, defensive lineman Alameda Ta’amu, and defensive back Al Louis-Jean. The coaches are Steve Fairchild (North), Donnie Henderson (East), Bart Andrus (West), and Terry Shea (South). TSL RB Brandon Burks signs with Toronto Argonauts!